The Isle of Anglesey offers a collection of our B&Bs and boutique hotels. Options range from small independent hotels to family-run guest houses, where you will be looked after by the owner. All guests will receive a comfy bed and breakfast will be prepared for you. Advice regarding travel and local tourist attractions will also be available. Our accommodation will allow you the opportunity to absorb the rich historical and picturesque surroundings of Anglesey, all at an affordable price. Use the form above to check availability and prices across our entire selection of Anglesey accommodation. If there are no available rooms at present or if you simply can't find what you are looking for, please visit our sister website, www.historicbritain.com/anglesey. 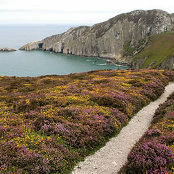 The Isle of Anglesey is situated off the north-west coast of Wales near the Snowdonia mountain range. Today it has several thriving towns. Anglesey also has the village with the longest place name in Britain: Llanfairpwllgwyngyllgogerychwyrndrobwllllantysiliogogogoch The name, when translated into English, means "The church of St. Mary in a hollow of white hazel near a rapid whirlpool and near St. Tysilio's church by the red cave". There are regular trains from London Euston to Holyhead, Anglesey which take under four hours or from Machester which takes 2 and a half hours. National Express trains run to Holyhead in Anglesey at regular intervals, taking as little time as 6 and a half hours from London. The main routes are served by Arriva, whilst local companies run the smaller routes once in Anglesey. Anglesey has its own airport but this only goes between Cardiff International and Holyhead airport and people choose instead to travel from Manchester, Heathrow or Cardiff by train or coach. In the North of Wales, Angelsey has the A55 running through it and the A5025 and A4080. The journey is 4 hours from London and 3 from Machester. The first evidence of humans on the island comes from the Mesolithic period, about 7000 BC. At the time of the Roman occupation of Wales (first century AD), Anglesey was one of the last strongholds of the Celts and their druidic priests. The Romans eventually won the battle, subdued the Druids, and cut down their groves of sacred oaks. The 13th century saw conflict between Wales and England, which was now ruled by the descendants of the Norman invaders. Edward I of England twice launched campaigns against Llywelyn ap Gruffydd, the last Prince of Wales. In both cases Llywelyn was defeated. 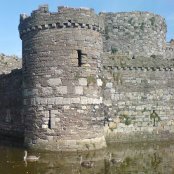 After the final defeat Edward built a series of castles around the coast of Wales to subdue the natives, including Beaumaris Castle on Anglesey. From the 18th century onwards Anglesey became important for two reasons: copper and travel to Ireland. In the 1760's full scale mining was begun there to satisfy demands for the metal for production of guns, metal plating for ships, and coinage. Many of the coastal bays on Anglesey had served as small ports throughout the ages, but by the 18th century Holyhead had emerged as the main port, primarily because it is the closest point to Ireland.